Public and private fleets including the Science Museum and Aberdeen City Councils are to implement Toyota Mirai hydrogen fuel cell cars after winning funding from the Government. 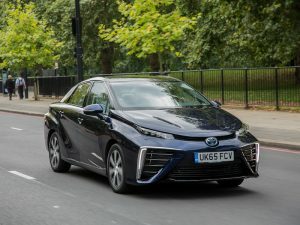 A total of 12 new Mirai customers, also including Arval, are among the fleet operators that have been successful in a competition to share £2m to invest in new hydrogen fuel cell cars and vans. The new vehicles should be in service by April next year. The news comes as Toyota invests in more specialist centres across the country. From next week, centres in London, Swindon, Sheffield, Swansea and Aberdeen will help extend the reach of the technology, in line with the national H2 infrastructure network plan.